Cancer patients often experience many ups and downs in body temperature while going through chemotherapy or radiation treatments. These stylish, fun beanies for cancer patients are a way to remind your loved one to stay upbeat during the cancer journey. This super soft hat is made from a cotton/poly blend. For breathable lasting comfort. 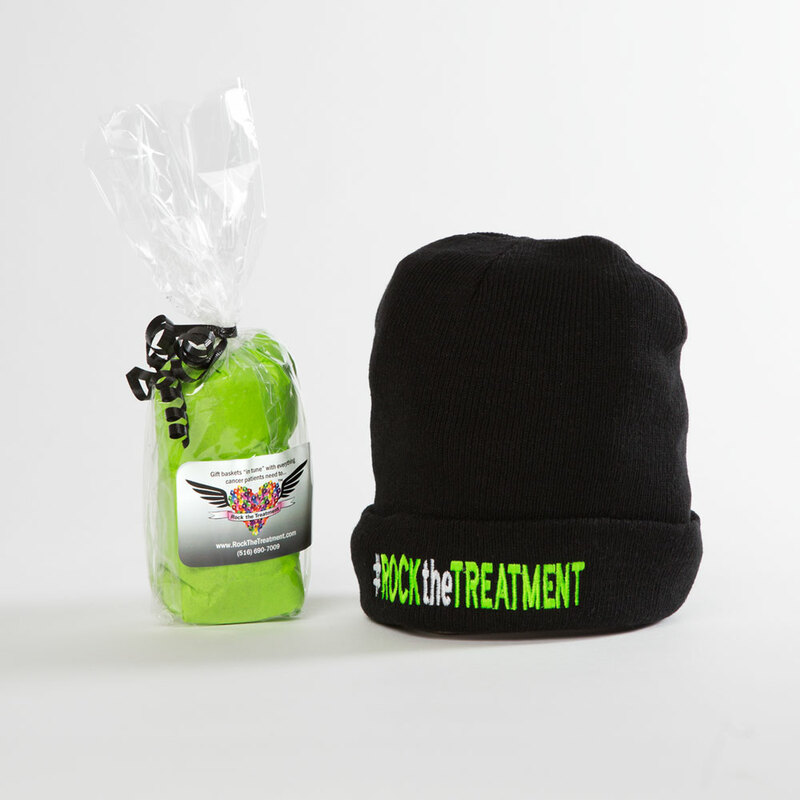 A great way to show support for your friend or family member and help them #ROCKtheTREATMENT. Rock the Treatment is a proud supporter of Spectrum Designs. Our hats are hand embroidered with love by Spectrum Designs. Spectrum hires adults that are “on the spectrum.” These adults are taught a trade and given the opportunity to live an independent lifestyle.